V1.0 HAS BEEN DISCONTINUED. CLICK HERE for my review of the v2.0 edition. Modular Set Six piece, padded, easily accessible system. Belt not included. Pro Speed Belt - Fully padded waist belt for Modular and Skin components. Skin Belt - Lightweight, unpadded system for your Modular and Skin components. Lens Changer 15 - Holds small lenses, like 50 and 85mm. Lens Changer 25 - For zoom lenses with hood. Lens Changer 35 - For zoom lenses with hood attached. Lens Changer 50 - For wide angle lenses with hood. Lens Changer 75 Pop Down - Pop-down feature for hoods. Lens Changer 300 - Holds Holds 300 2.8 lenses and similar size lenses. Lens Drop In - For quickly changing teleconverters. Large Lens Drop In - Will hold wide angle with hood. Whip it Out - Holds 70-200 2.8, 80-200 2.8, 100-400 upside down. Speed Changer - Multi-use utility bag for lenses, batteries, and accessories. Trim Changer - Trim, 2.5" thick organizer stays close to body. 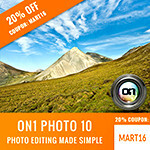 Chimp Cage - For Digital SLR body or other accessories. 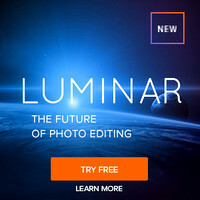 Lightning Fast - For SLR flashes. R U Thirsty? - Water bottle & energy bar bag. Bum Bag - Belt pack slides onto the Pro Speed Belt. Modular Pouch - Attaches to backpacks or belts. All the Other Stuff - For all the other stuff. Pixel Pocket Rocket - Holds 10 CF cards. Pee Wee Pixel Pocket Rocket - Holds 4 CF and 3 SD cards. Digital Holsters - Top loading bags that expand in size. Will attach to the belt system! Skin Collection - All new, light-weight, unpadded system for your gear! and more all the time – check TTP web site for latest additions! In this review I’ll discuss the bags I have in my collection, how I use them, and state my recommendation for or against each bag in my collection. Of course there’s a lot more bags than what I will discuss here so you can use this as a starting point to help you sort out which bags you might need and how to fulfill your collection. This article is configured with each section beginning with a picture of the bag and a title – both linked to the TTP web site so you can learn more about each bag. Following each title, I’ll discuss my thoughts on the bag as I use it in my collection. Some of my bags have been discontinued or updated, so in those cases I will talk about both mine and its replacement. When possible, I have tested the replacement bags and offer an opinion on those bags. Don’t forget to use the SPECIAL OFFER at the end of this article when placing your order! This would be a fine bag if you were using your speed belt for something like Mardi Gras. You could store your shirt (pun intended), sandwiches and stuff, but for Photography I found it to be a bag that consumed too much precious real estate on my Speed Belt without any practical use for me. Your mileage may vary, but for me this bag is just dead weight and is in my closet collecting dust. See my full review on the Digital Holster 30 to see how much I really think this bag is a key part of this collection (and the Skin Collection) if you are doing any sports work with two cameras, or if you don’t want to just keep your camera around your neck during down time. I only have the regular-sized Lens Drop In, and while I loved the concept I felt it was too small. I really wanted it to be able to hold my wide angle 16-35mm lens so I was glad to hear that TTP has thought of that and released a newer Large Lens Drop In to address this issue (the 17-40mm shown above with the same hood I use on my 16-35mm). The way I wanted to use this bag was to be able to quickly grab and switch to my 16-35mm when I needed to do a wide angle shot when I am only carrying one body. Instead, I was just using mine for my 24-105mm (lens cap side up as it is a bit snug with the hood attached in reverse) which was nice too but realistically less practical for sports shooting as I’d never use that lens on a Sports shoot. My sports gear typically consists of 1 – 2 super tele’s and my 16-35mm, so forget about the old Drop In and enjoy the new Large version! This is pretty much the same size as my regular sized Lens Drop In (not the new Large version mentioned above). However, it has the advantage of a rain cover as well as a pull cord to seal it tight. The extra net around the outside can prove useful as well to store miscellaneous odds and ends. It was still too small to hold my 16-35mm lens, but the 24-105mm fit much more comfortably with lens cap side up or down. This is your wide-angle solution if you don’t have or want the Large Lens Drop In. It works with the 16-35mm or the 17-40mm just fine, plus it offers a rain sleeve and exterior pouch. I enjoyed the fact that I could put my lens in with the hood in the ready to use position and even avoid using my lens cap if I wanted to. Since I didn’t have the Large Lens Drop In this was on my Speed Belt whenever I took my 16-35mm with me. I have the Lens Changer 75 without the pop down and hate it, but I used a friends Pop Down and loved it.I love this bag because of its adjustable size. It allows me to toss my 100-400mm lens in the bag set to my desired focal length (usually in the 300 – 400mm range) with the hood in the ready position with no lens cap on so that I can quickly grab it and shoot. However, I can shorten this bag to have my lens in the standard travel position with the hood reversed and lens cap on. This is a cool idea and a nice implementation. This bag has been discontinued but it is basically the 75 in the fully extended position. I got mine for free with one of my orders using the special offer from this blog so I use it when I lust for the LC 75 Pop Down. Since I don’t have the pop-down version this bag offers everything the LC 75 PD offers in the extended position. It looks like it could easily hold a Canon 400mm f/5.6 prime lens, but there in lies the problem – it’s huge. The reality is that I haven’t even taken the tag off mine yet, so I can understand why TTP retired this bag from their product line up. I love this bag because it holds my 580 EX II WAY better than the crappy cover that Canon provides. It has a pocket to hold my filters and is even large enough to hold a Nikon SB-900. I always have it mounted to my Pro Speed Belt, but I’m going to get 2 more to hold my 580 EX II’s for every day use. I love this bag and feel so much better knowing that my expensive flash is protected. Even if you don’t use the speed belt or modular system, I highly recommend this bag! The good news, is you can sometimes catch one as a the free bag that you get with your order using the special offer on this blog so keep your eyes open for that deal when you place your order! I’m mixed about the idea of ordering the kit because peoples needs vary and you should make sure you have the right bags for what you’ll be using your system for. However, many people will find that this has everything they need (especially since the current version has dispensed with the LC 25 in favor of the LC 35 and the LC 75 PD instead of the old LC 75 as well as the Large Lens Drop In instead of the regular Lens Drop In). I had an older kit so I found some of my bags to be useless, but the new configuration seems spot on so you’ll probably find that this kit has everything you need or want at a substantial savings over purchasing the bags individually. Personally I wouldn’t get the Pro Speed Belt without the Belly Dancer because when you load the belt down it just feels unnatural not having a shoulder harness to hang on to it. I felt afraid to walk fast and would hold it with my hand, but with the Belly Dancer I had confidence that things would stay put so I soldered on without a worry that my belt would fall to my ankles. In fact, I think I’d prefer the thicker Steroid Speed Belt as the Pro Speed Belt just feels too small to hold the weight of all of my heavy gear. However, if you are traveling light with these bags (i.e., you aren’t a sports Photographer) then the Pro Speed Belt should be fine. And that is pretty much all that it can practically hold. In a pinch I could squeeze one more bag on it like the Large Lens Drop In or ideally the R U Thirsty?, but it would make it a bit uncomfortable to maneuver around. I love this little bag and keep it safely tucked in my Speed Changer, but I also find that I take it out and carry it in my pocket or backpack as it is a great storage location for my CF & SD cards. A lint filled pocket is no place for your your CF card, so if you don’t have another solution then you might consider adding one of these to whatever configuration you have. If Tim Allen created a TTP bag, this would be it. This bag is sweet and it is a constant mainstay on my Pro Speed Belt because it has room for all of my accessories, extra batteries, tele-extenders, business cards, pens, and more. This is basically the replacement for your pockets in your backpack, but it holds a lot of stuff! It features a rain sleeve to keep things dry during bad weather, and the interior has configurable divider pockets. In fact, you can configure this to hold lenses or even remove the whole interior to hold whatever you might have used the Bum Bag for. Overall I find this to be the most useful and practical bag of the modular system, so if you you don’t buy the modular set then be sure to order this bag! Oh and another potential downside to this bag is that it isn’t insulated and when your bottle drips from sweat it goes down your leg. However, that only happened to me once so it is more of a minor quibble. 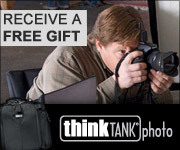 Click here for the latest offer and other Think Tank Photo bag reviews. Link to Think Tank is not working. They changed there web site page. Thanks for the report! This is abug from the new web site and I'm working with them to fix this ASAP. Please check back for the updated discount code.